Looking for things to do on long car rides? Or maybe how in the world to keep kids busy on a plane? Here are a few must haves for you to enjoy the journey. Oh my goodness, its a question that drives me crazy. Usually, I can fix this by showing them the minutes left on my car’s navigation. But when there are hours left in the drive, my kids are fighting in the back seat and I can’t wait to get out of the car… the situation becomes a little more dire. How in the world will I survive this road trip? 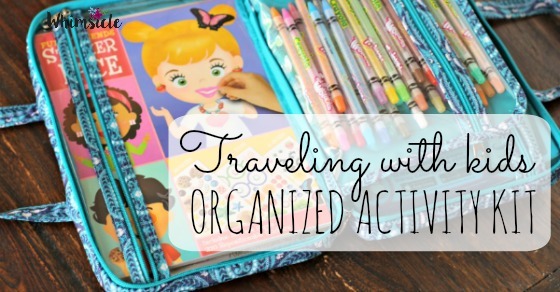 First, you need to put together your own travel activity kit. Oh my goodness – life-changing right here! 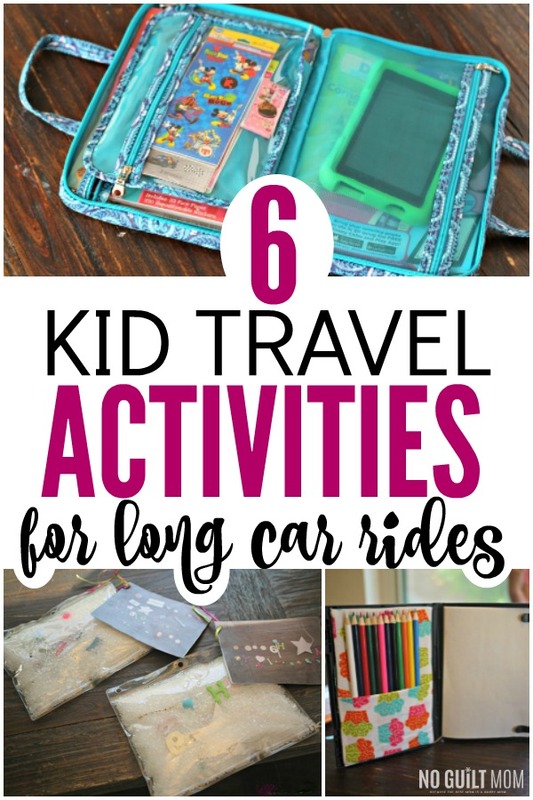 Aside from coloring books and the usual electronics you’ll put inside, here are my go-tos for kids car activities that are guaranteed to both enrich and entertain. I’m a recent Audible convert. Admittedly, I used to see no point in audio books. But then, I tried listening to a recent business book on a road trip down to Tucson and oh my gosh! Hearing the author read his own material was so engaging. My kids were bored to death. So, I wouldn’t recommend business books if you are seeking to entertain. But there are a ton of awesome kids books available. For instance, my husband and I have been trying to get our nine-year-old daughter to read Harry Potter. She says, its boring. We know that she’ll love it once she gets into the series. And if you want your kids to read while listening to audio, look for Kindle books with whispersync. This lets you switch between reading and listening or do both at the same time (and it will even turn the pages for you). Tired of playing I Spy over and over again? This lets your kids play it on their own. Before you leave, have your kids hunt for a few objects that would fit in a standard zipper plastic case. Lay it all out on a table and snap a picture. Then, follow these instructions to put together your very own I SPY bag. There have been so many road trips where we started with a full pack of markers and by the end of trip… LOST EVERY SINGLE ONE. Or the caps were left off and they all dried out. I know this is one battle I can’t win, so I’m not even going to try. It’s color with water in an easy, portable container. No worries about markers drying out because you can simply refill the paintbrush with WATER! It’s genius. Perfect for the preschool set. However, my elementary-aged daughter gets a kick out of these as well. Yes! Who is up for some trivia – but not looking forward to losing cards all over the back seat? Or, asking that person sitting behind you on the plane to reach between your blue leather seats to fish out that missing card? Brain Quest solves that because the cards are attached to one another. 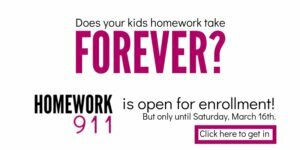 Plus, the questions are super fun, but specifically geared to your child’s level. Siblings can play together if you get two decks and then ask each other questions geared to their own knowledge. Tons of fun and FAIR – and you know how big fairness is to our children. Heard of tangrams? This is great activity where kids create animals and other creatures using a combination of just 7 shapes. Tangrams can be a bit hard to manipulate in the car, but not with this magnetic tangram kit. Bonus: Kids will be building their spatial awareness and not even know it! 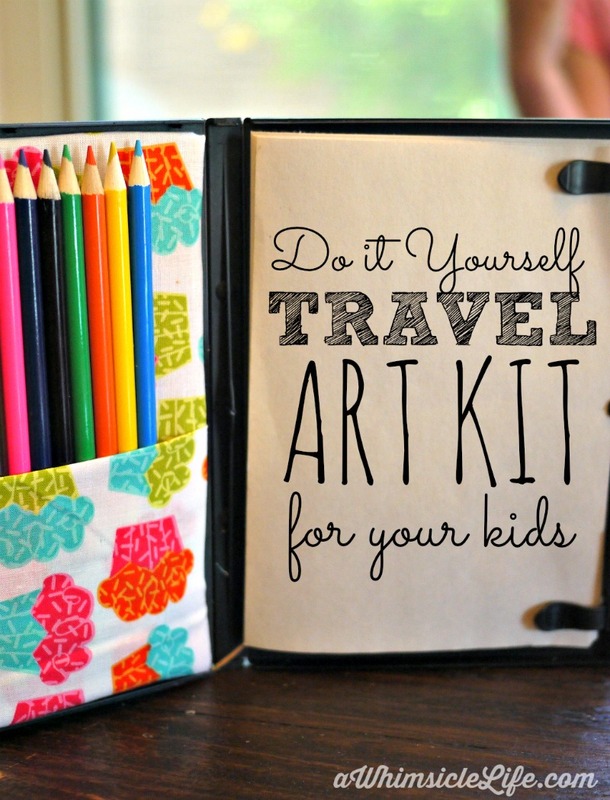 When your child loves coloring, but you know that box of colored pencils will fall apart before the end of your vacation, make them this. It’s portable, easy to refill and you can also take it into restaurant to amuse kiddos when your waiting on your meal. Or maybe, you are waiting in a long line at a theme park and you need something… ANYTHING… to keep them busy. Start playing one of these car ride games for kids. They require absolutely no materials and can be played anywhere! When looking for things to do on long care rides, search for games with very few pieces. 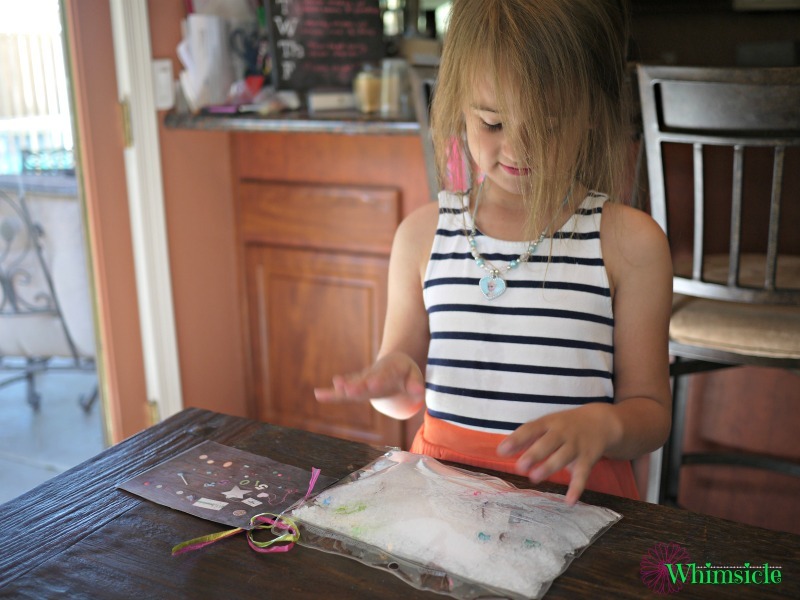 The ideas I’ve mentioned here are portable and have super easy clean up. You are going to survive this long car ride with your kids. And it will be fun. (I know you don’t believe me). But trust me, you got this!